It’s time to look at the third season of My Hero Academy. This is the best one yet and finally adapts my favorite arc of the series, the Bakugou rescue arc. Now granted, I consider this arc to start when the villains arrive in the forest and that it doesn’t conclude until after the All Might vs One For All fight. That may not officially be the case as it’s possible that these are actually 3 different arcs. If that is the case…well, it’s still my favorite chunk at any rate. This season pretty much starts with that plot right off the bat. 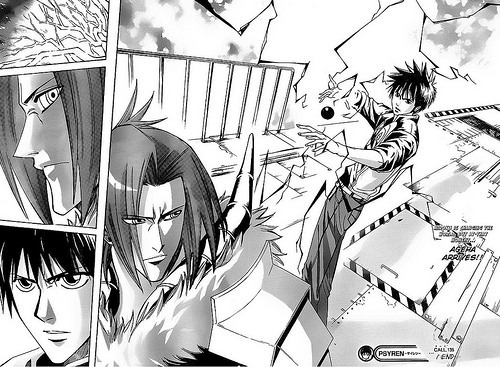 The heroes have gone to a secluded mountain to train since the villains keep infiltrating the school. The problem is that there still seems to be a mole within the school so this tactic doesn’t fare any better than the last one. The villains have arrived once again and aim to injure as many of the students as possible in order to further weaken trust in the heroes. Can Deku and the others stop these guys despite the professional heroes getting in their way at every turn? It’s a great arc because there’s a lot of action right from the start and it never stops. Even though Deku and a few other select students have fought with real villains before, most of the class still isn’t ready for this. There are those who can fight and those who have to flee. It’s pretty tense all around and as expected Deku steps up to the plate. His fight with Muscular is quite epic and certainly one of the better fights. It does ultimately end up getting beat out by the All Might fight, but it certainly won’t be forgotten. It’s also always fun to see larger scale free for all fights as there are a bunch of villains and heroes in the area so it’s always hard to tell what’s going to happen next. This also leads to one of Bakugou’s best scenes as he refuses to be tainted by the villains and prepares to fight them all off. The series has managed to completely avoid the trope of the rival turning evil and I’m glad to see him staying strong. That classic trope can be used really well and has been in many occasions but sometimes it’s nice to see the tough rival stay heroic throughout it all. While he didn’t stand much of a chance, Bakugou certainly wasn’t doing half bad for himself. His powers are pretty well equipped for a group fight, I like to think that he would have done some damage before going down. Finally that leads to the big climax where we finally get to see All Might take on One For All. It’s definitely a battle that lived up to the hype. We’ve been waiting to see this match up since season 1 after all. 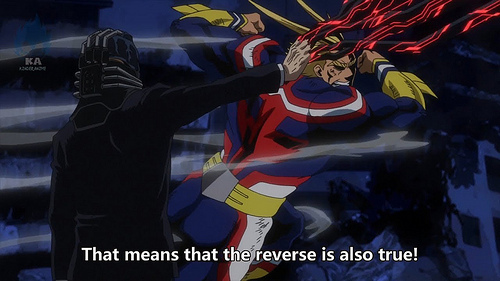 All Might is as strong as a person can get and One For All has as many powers as he could find. It’s the ole quality vs quantity debate and as always the latter does tend to look quite impressive. I think it’s a case by case basis but I’m inclined to go for the latter at times myself. Still, it’s a very even match up. I guess that leads to the only tough part for the season which is the fact that you really can’t top that. The fight almost should have been the final part of the season. Instead we get the start of the next arc right after it. The students are back to training and now they are going to meet some of the senior students. I’ll give the author some credit here, no matter how big the arc, he always brings the students back to the training grounds right afterwards. Even if it may seem a little anticlimactic, it’s consistent. It’s also not as if it gets boring or anything, you may just have a tough time taking the school seriously after a while. The series still tries to paint the other students as also being on roughly the same level and all, but you can’t help but feel that Deku and the rest of the strike squad have completely left them in the dust. Nothing beats real life experience after all. The animation is basically the same as the last season. It’s very polished and all of the colors are very vibrant. It really looks like a new anime and I don’t think the animators took any shortcuts. It all feels like it’s at the level where the series should be right now. It’s actually fun to take a look at season 1 and you’ll see how the animation has really improved. It’s not something that you’ll notice week to week but it’s more noticeable if you look at it from such a big time gap. There are also a few new themes here including one that plays for the big All Might fight. It’s definitely a great track and continues the series on a high note there as well. None of the openings are quite able to beat the first one as of yet with the music, but the final opening of the season probably has the best visuals yet. With the next season bringing a lot of fights with it I’m also expecting a lot of fun visuals there as well. Most of the characters are unchanged so I’ll mainly talk about the ones who had a big role here for better or worse. While most characters look pretty good here, I’m afraid that Ida was not one of them. In the last season he had his big run in with Stain which unfortunately gave him the wrong lesson. He now believes that the law is absolute and he has to obey it without question. While this is portrayed as being the right attitude for the most part I disagree with it as much now as I did back in the manga. It’s the same issue as in the movie. Ida is willing to let people’s lives be in danger as long as the rules are followed. As the students are now technically allowed to engage villains even in self defense, he believes they should stay at the hospital while the pros try to rescue Bakugou. It just shows where the limits of his friendship are and the others should definitely remember that. He spends the whole arc grumbling and holding everyone back. So, this is where I stopped liking Ida completely and he never managed to make it back. His character appears to be irrevocably ruined. Meanwhile Deku is at his best here. He refuses to simply wait and quickly decides to go along with the others to save Bakugou. For something like this you can’t just wait and I’m glad that he went with the others. Deciding to go definitely helps show me which characters to root for in the future. It also certainly was good that the heroes went as things would have likely gotten very messy without them. 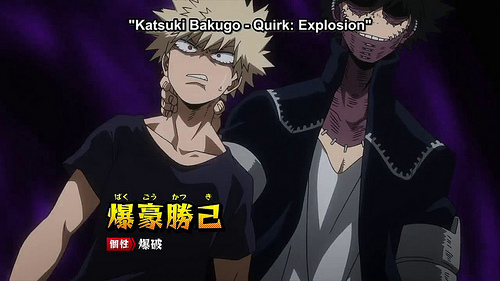 Deku and Bakugou certainly stole the show in this arc. Meanwhile other characters like Kirishima and Todoroki continue to look good. They’re both around to help as needed and continue to keep up with the others in terms of ability. Others are doomed from the start with their quirks and will need to try and find a way around them. This is also All for One’s big debut for the most part as he finally gets a role. He’s definitely a fun villain to have. He doesn’t waste much time trying to get the audience to sympathize with him. He just wants to throw the world into chaos and is going to do whatever he can for that purpose. He’s the complete opposite of All Might’s symbol of hope for the heroes. He sparks confidence in the villains. While he will likely be on the sidelines for quite a while, I wouldn’t be surprised if he returns at some point. Unlike All Might you get the feeling that he’s still got a lot more energy in the tank and probably has some contingency plans to put himself in a good spot. Tomura’s allies also get some more screen time here. Dabi gets to use his blue flames and he seems like one of the stronger villains. He was even able to get the jump on Eraserhead. Then we have Toga whose shape shifting abilities are incredibly useful. The split personality guy definitely seems more crazy than being a real threat, but I guess just having him around will help a bit. We also get a tease on the villain for the next arc. This gangster is just as tough as he appears and his group will be appearing quite a lot in the next season. We also can’t forget about Muscular who is pretty much everything you could want in a villain. He’s very powerful and he’s got a lot to prove. The guy has a lot of determination and while he isn’t anything more than just a villain, he perfectly achieves his role in the story. He’s a real fun villain. My favorite one in the series will finally be showing up in the next season. Mirio also appears at the very end. He gets a lot of hype and as he is a third year student you can see how he should be very skilled. His powers are a lot of fun and he definitely outshines the other students with ease. He seems like a fun character. I’m going to restrain myself on talking about the next season for him. I should only judge him on how he appears here after all. While I can’t say that I’m hyped for the next season it makes the ending to this one that much better. It got in as much as it could without going too far and holding the season back and that’s a very good thing. As always the writing is top notch. As I mentioned, the season ends on a much calmer note than the first half as it’s about being at the school festival with class B and trying to save civilians. It’s fun to see the guy who voiced Kirito play a role as one of the new students. It’s a shame that we won’t be seeing more of him. It also makes sense that the author would throw the heroes in some missions like this one rather than classic beat the villain type ones since class A would be way overqualified here. There’s just no way that the others could keep up. That’s why I feel bad for Deku at times though. It’s tough to be constantly holding back around everyone. He’s just almost too strong. 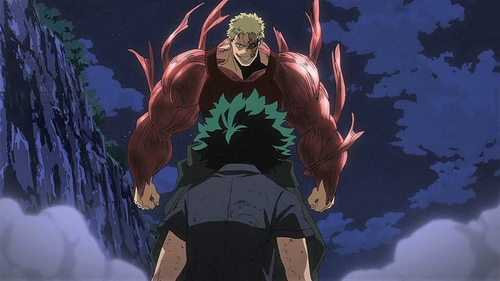 Of course, we do get the big rematch between Bakugou and Deku in this season which really shows off my point to its fullest extent. Bakugou is very strong and aside from Deku I think he’s probably the strongest student in their class right now. The problem for Deku is that he has to try and keep up with Bakugou’s speed and power without going too far above it and actually hurting him. I remember in the manga a lot of people thought he would accidentally cause a serious injury to Bakugou by being goaded into using too much power at once. Fortunately that didn’t happen but that’s why win or lose it is definitely tough for Deku. Once everyone else begins to catch up to his level then it’ll be easier for him to fight normally. Overall, This was definitely an epic season of My Hero Academy. As always the series continues to be super interesting and the world around the characters is just so vast and well developed. I also don’t think this season shall be surpassed since the next arc is my least favorite of the series. I don’t doubt that the anime will do the best it can with the adaption, but when the source material is no good then there is only so much you can do. Still, once it gets past that hump then we’ll be back in business. Although, we’ve only really had one true arc since then so we’ll have to see where it goes from there. 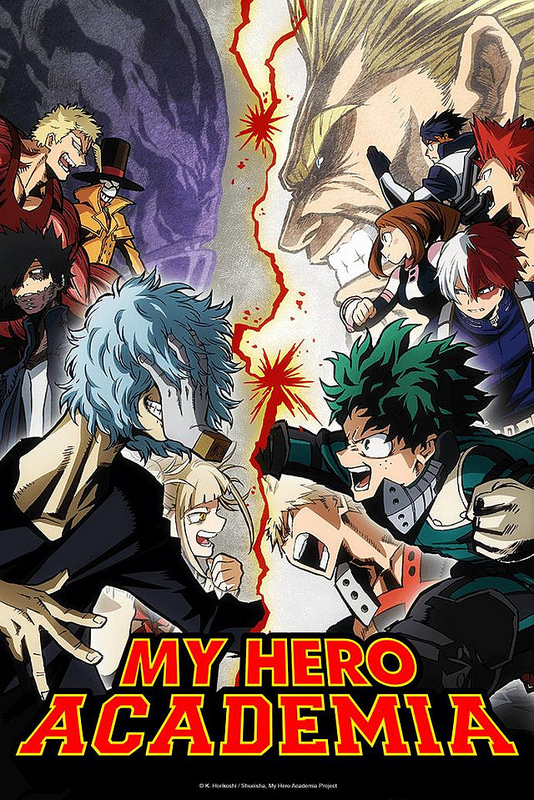 As this is season 3 I’m thinking by now you’re either watching My Hero or not. If you aren’t, I guess you could start with season 3 but it probably won’t feel quite as much fun as it would be if you start with season 1 instead. This series does have a pretty tight continuity after all. As long as the production values continue to stay at this high level I don’t see MHA’s popularity declining anytime soon. 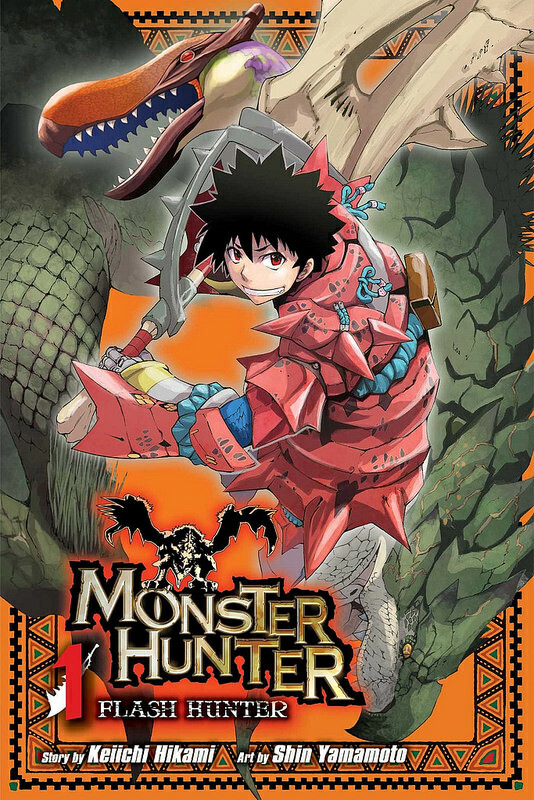 I’ve now started the Monster Hunter series! The first volume was pretty solid. It had a good array of action. It will have to be careful with how it handles the monsters, but the series definitely shows promise. I’ll have a review for it when I finish the series. 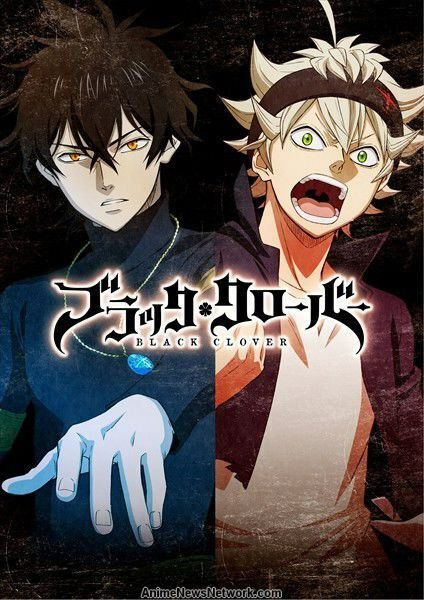 Well, I have started the Black Clover anime alongside the Toonami viewers. It had a pretty solid start with the first episode. The animation and music appear to be on point and as the series goes on we should get many more fights and characters added to the mix. It’ll be a while before this series finishes, but I shall have a review up when it does. 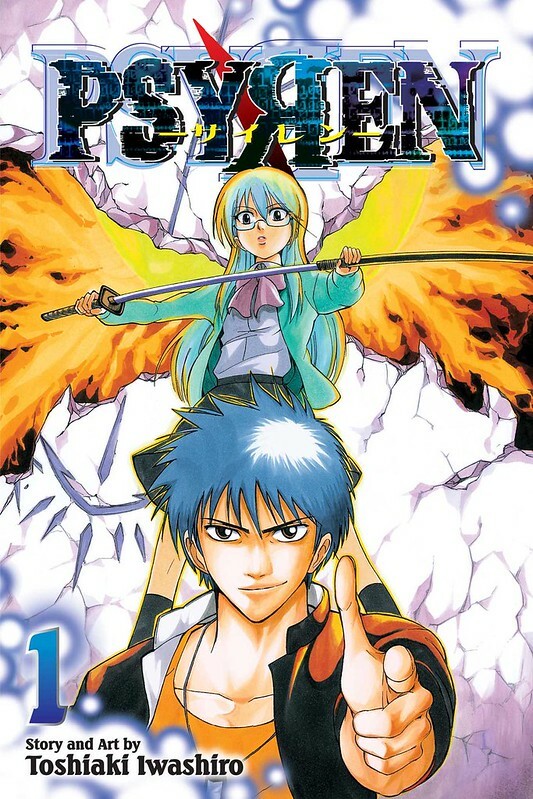 It’s time for a pretty fun manga that went under the radar and had to hurry to a rushed conclusion. It’s a shame, but I can see how people never gave it a chance. Personally, I always thought it was a manga about competitive hip hop dancing. I don’t know why, but it just looked like one thanks to a screencap on Mangastream. I didn’t learn better until I got to read a few volumes from the library. It’s a series that takes a few different twists compared to your average Shonen and the series was very ambitious. Unfortunately, it just couldn’t last long enough to unleash its full potential. The main character is Ageha and he’s your average Bully hunter for hire. He takes out the bullies as long as you can pay him. One day he notices Anamiya getting bullied by a few other girls and saves her wallet. She dashes off, but not before asking him for help. The next day she goes missing and the town goes on full alert. Ageha decides to call the number of a mysterious card that he received and solves its puzzle so he can get some answers. The next thing he knows, he is whisked away to a desolate world that is overrun by monsters. Anamiya is here, but with a completely different personality as she is very cold and antagonistic to the rest of the characters. Still, she needs Ageha to help her clear the game. If you die in the game you die in real life! There are a few rules. One: They just have to live through it. Two: Clear the daily missions. Three: Tell nobody. As long as they follow those 3 rules, they will be allowed to leave the game in peace. Of course, this is difficult since there are monsters everywhere as well as an evil organization that is bent on taking over the Earth through any means necessary. Fortunately, this world amps up everyone’s natural psychic abilities and you can gradually learn how to use it for combat. Along the way, a kid Ageha used to bully, a rockstar, and a random joe are brought to the world as well. Technically, a bunch of people are brought in, but the rest are all slaughtered almost instantly by the monsters. Hey, you can’t save em all right? 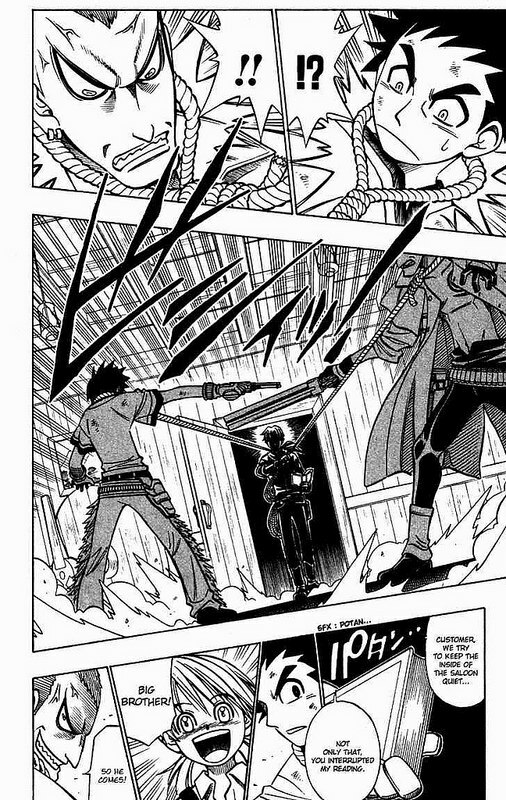 At first the manga plays out like a survival horror. The humans have no business fighting giant monsters and basically just have to run and hide. Anamiya is the only one who can fight them and even she can’t take on too many of them at once. If the series had stayed like this, it could have certainly gone for an Attack on Titan vibe. Honestly, it could have maybe worked, but I’m glad the manga shifted gears into full action instead. Once the characters all got powers and the monsters were phased out in place of humanoid opponents, the manga truly began to excel. It plays out a lot like Hueco Mundo in Bleach. The heroes get in really large scale battles against the enemies. The series jumps between the present and the future a lot. As you’d probably expect, the future has all of the best scenes and fights. The technology doesn’t really change this time, but everyone is just a lot stronger so the visuals are more spectacular. This series really knew how to draw your attention the whole time. Lets quickly go through a bunch of the characters. First up is Ageha. He’s a good protagonist even if he definitely doesn’t care about being a hero. Lets move past his childhood where he was apparently a bit of a bully. He does act like your typical main character for a while as he tries to save everyone and does his best to complete the game. What separates him from most is how absolutely ruthless Ageha is. He’s totally on board with destroying any opponent who gets in his way. Some of the villains comment on this as Ageha will go for a kill shot right off the bat. Given the stakes and all, it’s easy to see why, but not something that all main characters will go for. He embraces his dark abilities from the start and never enters into a self doubt phase. All of these elements together make him a very engaging lead. You can draw a lot of similarities to Yusuke Urameshi. Amamiya is the main heroine and she was always rather odd. We find out the reason why by the end as she has a split personality. One side of her is very shy and timid while the other is aggressive and outgoing. She starts to lose control of her other personality by the end, but eventually gets it back. You could say that the two sides of her made a truce to share the body and each gets a turn now. It’s an intriguing concept anyway. For the most part, the more aggressive one is naturally better although the flirting can be a bit much. I’m glad that Anamiya can fight, but she’s just not a very charismatic heroine. The same can be said for the big rival of the series. That is Asaga and he is probably the most soulless rival I’ve ever seen in a series. He barely even counts as a rival since he is never in Ageha’s league to begin with. He has a lot of brute strength and that’s how he wields his psychic powers. He just has no real personality though besides possibly liking the main heroine. Ageha’s gravity abilities are both stronger and more versatile. 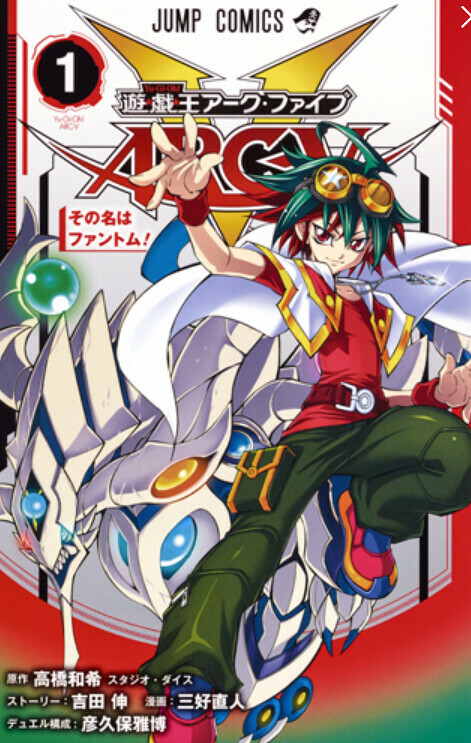 There’s just nothing Asaga can contribute to a fight and he was basically written out of the series for a while as he had some adventures on the alien planet by himself. Next up is a character whose development never really got to end. Oboro is a famous pop star who got into the game and began to excel. He can heal others which is incredibly useful and his abilities began to morph into disintegration. He can also heal others too well which results in them merging with other monsters and dying. 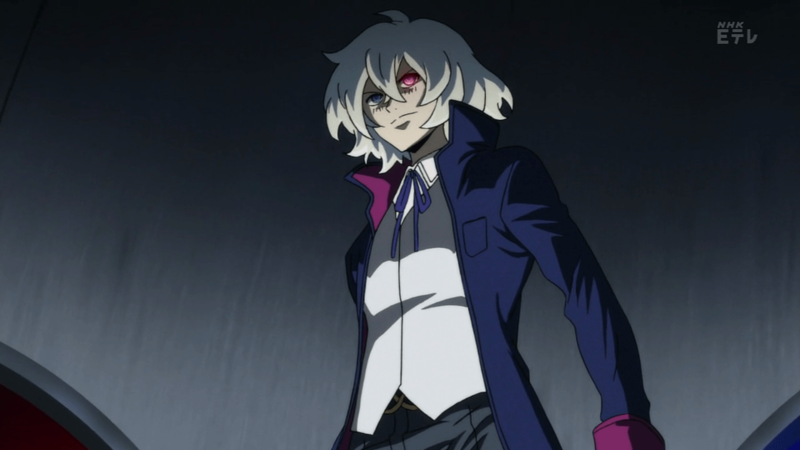 The series was really hinting that he was going to turn evil and he was beginning to fit into the rival role. Then…the series just ended and he never really got to have any closure. I think he barely even got a final fight if he did at all. I did think the character had a lot of promise though and he was probably the best supporting member. Kirisaki’s essentially the scaredy cat of the group. Every series seems to need one and he fits the bill. His ability is that he can sense the future as long as he is in danger and this allows him to dodge any traps. Think of it like a very good Spider Sense and you get the general idea. This isn’t the kind of character that I’m typically a fan of though so I’ll have to give him a thumbs down. Now lets talk about some of the villains. Miroku is the big villain in the series and he’s certainly a strong fighter. He doesn’t have a whole lot of personality and can come across as generic, but I’d say that he’s good enough. His design’s not bad. Grana is the strongest member of the main villain group so he’s second only to Miroku for most of the series. He’s sort of like Zaraki from Bleach and I like his personality. He’s always itching for a fight and he can dish it out as well as he takes it. That makes for a pretty good villain if you ask me. Unfortunately, as the story goes with most of these characters, he didn’t get to do a whole lot. Junas was one of the most impressive villains. He went up against quite a few of the main characters and kept on rolling. His design is on point and he made good use of his abilities. WISE was very fortunate to have him on their side. There’s not much to say about Uranus. He’s another member of the group who puts up a good fight, but doesn’t get nearly as much screen time as Junas. Finally we’re up to a villain who did get a lot to do. Dholaki was probably Ageha’s first real challenge and the guy kept coming back for more. He would train and learn new abilities to stay relevant. He had a good work ethic for a villain. Shiner was another member of the group and he also got a good role. I’d say that he was maybe a little nerfed by the end of the fight, but he did a good job weakening the heroes. Mithra is basically the real final boss. She’s a very imposing entity and her true form helps increase the stakes of the series. I definitely think just about all big action titles should end with a big cosmic being suddenly showing up. It makes the final battle really feel like a final stand as opposed to just another fight against the bad guys. Mithra didn’t appear all that much, but she is memorable. 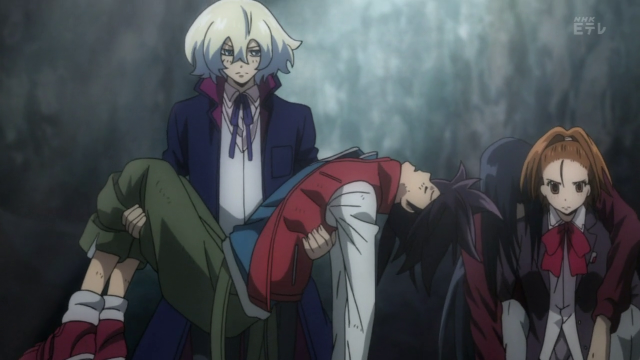 Yusaka is technically a pretty minor villain as he doesn’t appear much, but he was a pretty critical traitor against the heroes so he was memorable. He takes down a lot of humans in a rather brutal action scene and proves to be a lethal opponent. He’s not really my kind of villain, but he made for a good fight scene. 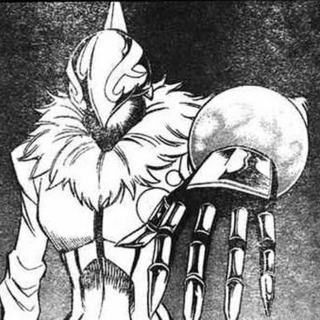 While his design isn’t as impressive as most of the villains, it makes sense since he is basically just a human. There was a group of kids in the future who were the last defenders of humanity. They were a pretty fun bunch and all of them got some good screen time. Frederica is a fire expert who’s extremely confident and she always managed to live up to the hype. I’m not sure I’d call her the strongest member despite her boasts, but she’s definitely fun to have around. She’s effectively the leader of the team. Marie is the nicest member of the team which also happens to mean that she is basically the weakest. Unfortunately, I wasn’t really a fan of hers. She’s not a bad character, but rarely seemed to help out all that much. She did contribute of course, but I would have liked to have seen more action from her. Kyle looks up to Ageha and pretty much modeled his fighting style after him. Kyle’s a hand to hand specialist who attacks with incredible power. I’d say that he is the most powerful member of the group and he sure did a good job whenever he would appear. He definitely grew a lot from his days as a kid. 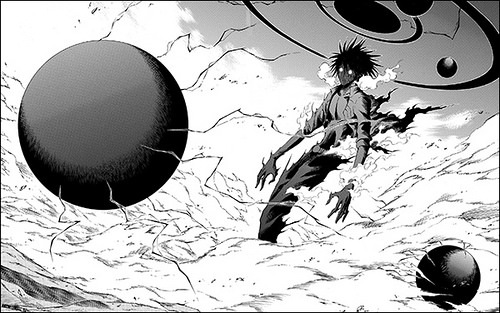 Shao probably got one of the best fight scenes in the series as he fights with strategy as well as power. He’s about as strong as Kyle and really helps the group have an edge over the villains. Every time you get a strong fighter like that, it really helps everyone’s odds. He’s rather quiet, but it’s not about confidence. It’s simply a choice in his case and he lets his actions speak for him. Nemesis Q was more annoying than helpful. I still don’t understand what the point was of calling everyone to the game world, but destroying them if they told anyone. By the end of the series we learn that she is basically stuck in a wheelchair and just gets her thrills out of mocking Ageha. She got some kind of origin story, but it still seems like the best plan would just have been to tell the heroes what was going on. They could have changed the past a whole lot easier if they knew the details. Matsuri was one of the only players who ever got out of the game alive. As such, she knows about it, but isn’t really allowed back. She can still help in the real world though. Her abilities are potent, but not quite as deadly as most of the main characters. She essentially got surpassed by everyone as the series went on, but did well in the mentor role. Kagetora is her friend and essentially a bodyguard who also got some psychic abilities. He handles psychic crime in the real world, but has a tendency to get in a little over his head at times. His regeneration ability at the end is really handy though since it fits in with his constant aggression. Tatsuo is a friend of Asaga’s who got stuck in the game. In the real world he was super frail, but he was able to excel in this other world as a hybrid monster. At first he is evil from the experience, but gradually learns to accept the situation and becomes a hero. He’s a fairly decent character, but one that still just feels more like a trope than an individual. Asuka is Ageha’s father and he actually shows up to fight by the end of the series. His ability has a lot of drawbacks and can’t be used for too long, but it’s very powerful. He is one of the only characters in the series who is able to use a certain burning/ascendence which amps up all of his stats. The series may not have explained too much about why he knows so much about the psychic wars and all, but it was nice to see him help out. He’s not a very nice guy at times though so that hurts his likability. So the character cast is fairly decent. I like Ageha and the Actor worked fairly well as a shady rival. I don’t think the author initially planned for that subplot to just end like it did, but you never know. The rest of the heroes were rather weak compared to most titles though, but fortunately the villains held their own. They were all pretty cool for the most part even if I started to mix them up. 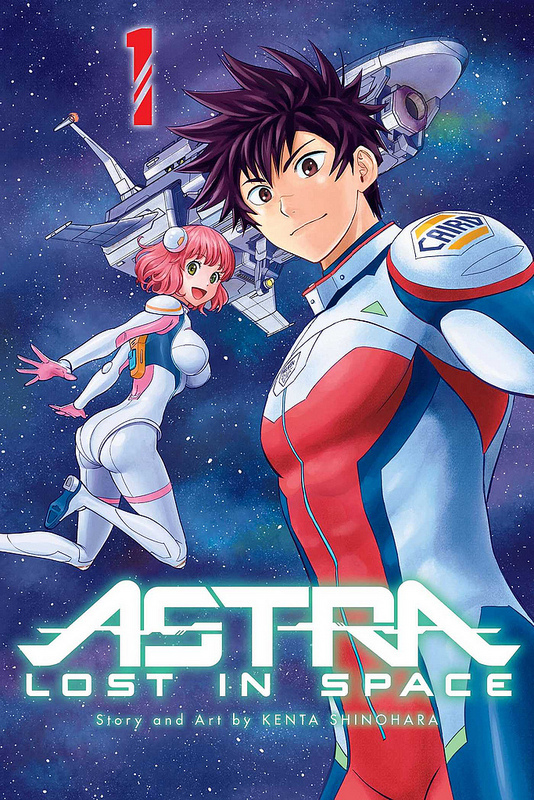 It’s important that Ageha was good since if the main character had also only been standard, it might have had more of an effect on the series. What helped to compensate for this was the solid artwork throughout. The artist has a nice clear style that works well with the series. It’s also nice since Ageha’s powers could have easily turned into something very wavy and chaotic. With a lesser artist It would have been easy to get lost during the action scenes. The series could get pretty intense like the massacre inside the government base. You couldn’t help but feel bad for the government the whole time since they were just so out of their league but they kept on trying anyway. At the very least, you have to admire their commitment. We even got the cops involved at one point as they try to arrest Ageha, that was fun. There’s a lot to like in this series which is why it’s a shame that it never hit 20 volumes. 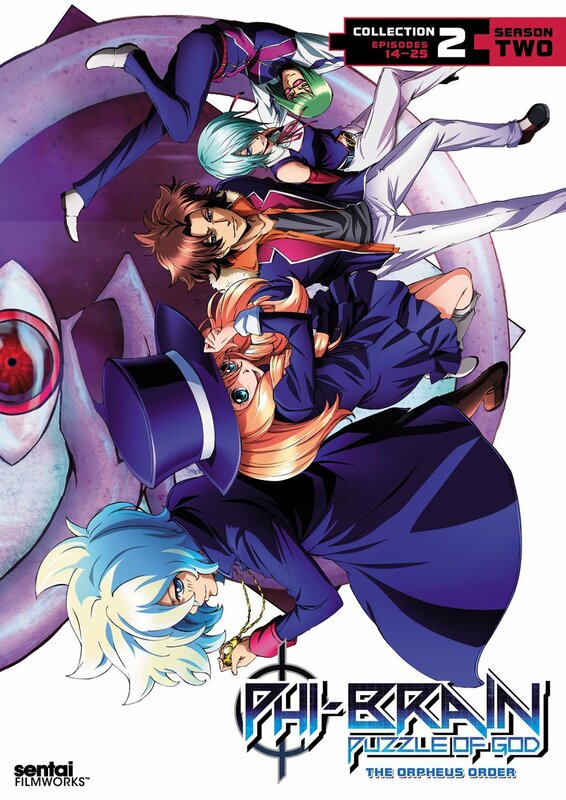 Overall, Psyren is a fun action series. It won’t go down as an all star like Dragon Ball Z or Kenshin, but I’d say that it did a really good job. The idea of fighting in the future is always a good one. Reborn! probably did the best job with it, but many titles have pulled it off. The action was large in scale and Ageha readily embracing his dark abilities was nice as well. It’s a shame that the series ended so suddenly since it still had quite a lot of potential left in it. Sometimes we just don’t get to see it all though. That’s just the way it goes. I’d definitely recommend checking this manga out. It’s pretty epic and I’m confident you’ll like it if action is your genre of choice. 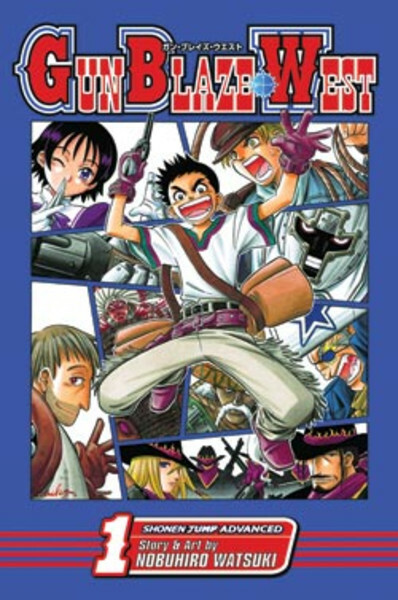 Gun Blaze West was a short series that was abruptly ended before it could get past 3 volumes. It was a reasonably fun series so that’s too bad, but it didn’t really do anything to separate itself from the pack. The series probably should have also started with the post time skip plot and then had a flashback for Viu’s origin once the series had gotten popular. That’s the safer method I’d say. We don’t have a whole lot of Wild West manga titles so this does still help to fill that need. (Is it really a need though? Viu has always wanted to be an awesome gunman. Unfortunately, he simply didn’t have the skills for it as a kid. A wanderer named Marcus showed up one day and said that he’d train Viu if he could run to a mountain and back before the sun set. It was the only way to prove that Viu could physically handle the rigors of being such a fighter. After all, having great aim is good, but it’s not enough to win tournaments if that’s all that he has. Unfortunately, Marcus is then seemingly murdered by a villain named William and Viu’s life is changed forever. After avenging Marcus, Viu trained for several years until he could pull off the run. Now it was time to go enter the legendary Gun Blaze West and prove that he is the greatest gunman in the world. The actual plot is rather generic, but we’ve seen many great action titles come out of a standard plot. Viu’s mentor dying and the long time skip are rather reminiscent of Beet, but the latter also had 5 star fights and writing to back it up. Not to mention that Beet also had superior art. I was a little worried at first because if Viu had not grown up there was no way that I could accept him beating professional fighters. After the time skip, it was at least a little believable. Viu is a reasonably good character. He likes engaging in fair fights and never backs down from a challenge. He’s pretty noble and will defend others if they aren’t strong enough to do so. He doesn’t overthink the situation like his partner Will does and that helps him a lot. He’s a good character and hits all of the right notes, but that was where the buck stopped. He did have a good rage mode though so the author squeezed that in before the series ended. Will is the main partner during the series and he’s usually more annoying than helpful. He’s the kind of guy who sees a villain pick a fight with the heroes and then call both parties out for being disruptive when it’s obvious who is at fault in the moment. He hesitates a lot and doesn’t really like fighting all that much at first. He does get better at that, but I still don’t think he’ll last too long using a rope in a gun fight. It’s just not going to work. Colice is the final member of the trio, but ironically she doesn’t get to appear all that much since she was introduced so late. She was clearly meant to be a main character in the long run. She’s fairly skilled and is confident of her skills. Luckily Colice got to have her own fight before the series ended so she was able to back up her tough talk. She probably has the most personality out of the three main characters and I believe she would have helped the series out quite a bit. I was a little surprised when Marcus died so early on, but apparently the author was going to bring him back anyway. There’s a lot of hinting for it at the end of the series so much that they basically say it in the final page. Honestly, I don’t see how he would be all that relevant later on since he wasn’t very strong, but maybe he was going to turn evil for that added emotional value. The Baron is the final boss of the series even though you never would have guessed it at first. It was just the series getting cancelled that suddenly made him the big boss. He’s fairly powerful and should have easily beaten Viu. The good thing about this is that he probably would have appeared again later on and this way he would still be relevant as far as his power level is concerned. He was the final boss, but acted as an instructor and can’t be counted as one of the villains. Those guys are coming up. I feel like the author completely didn’t care about the villains and just added them because he felt that he had too. The first major villain was William and that’s not a name that will strike fear into your heart. William is not event that tough since Viu in his kid days was able to take him on. Next is Kevin. Wait…Kevin? Yes, I’m serious and the less said about this guy the better. He’s simply not that interesting and is another generic gun fighter. Honestly, this is what would have been a tricky part for the series. With so many gun villains running around, the author has to put a lot of effort into them so that they don’t all end up being the same. Giving them generic names like William and Kevin sure isn’t helping. The only villain in the series that I actually liked was Thunderarm. He’s a cool Android/Cyborg who wants to obtain Gun Blaze West and will do anything that he can towards this goal. He has a pretty good fight with the Baron and it’s probably the best fight scene in the series. His electrical attacks were very potent and he was a nice change of pace from the other fighters. It’s a shame that he probably would not have appeared again, but it was nice while it lasted. This series was cancelled so fast that the plot had barely started. The first two volumes are mainly pre arc shenanigans and then the 3rd was for explaining how things would work. We only got to wrap up the very first challenge and then the series ends with the heroes heading off for the next mission. It was probably pretty sad for the author to see it all end like this without a proper conclusion. I suppose the author probably could have tried to rush it all into that last chapter, but felt like the ending would have been cheaper than having them just get ready to roll out. At the very least, the ending that was chosen does leave room for a sequel series if the author ever wants another attempt at this. Gun Blaze West’s artwork was pretty decent. It’s not amazing, but it’s not quite as rough as you would expect. You can follow the fight scenes just fine and the character models don’t get all crazy during the fight scenes. It’s not exactly Bleach, but it’ll work well enough. At most, some of the characters do look unintentionally silly, but that would have likely corrected itself over time. The Wild West setting is hardly my favorite though so I can’t say that the scenery is all that fun to look at. I like to think that a gun series in NYC would have done a little better and could have had a grander scale. Overall, I had fun reading this series. It’s nothing great, but it’s not bad either. It didn’t really make any mistakes and while the specifics of the series can be forgettable, I doubt you’ll forget the premise or the main characters. It’s a shame that the series was cancelled, but I suppose if they never cancelled any titles, we would have missed out on a lot of great ones over the years right? I’d recommend checking it out and since the series is only 3 volumes, it’s not as if it’s a great time commitment. Just watch for volume 3 and you’ll be able to tell that the series was cancelled. It just abruptly ends. At least the author still has Kenshin and its spinoffs. 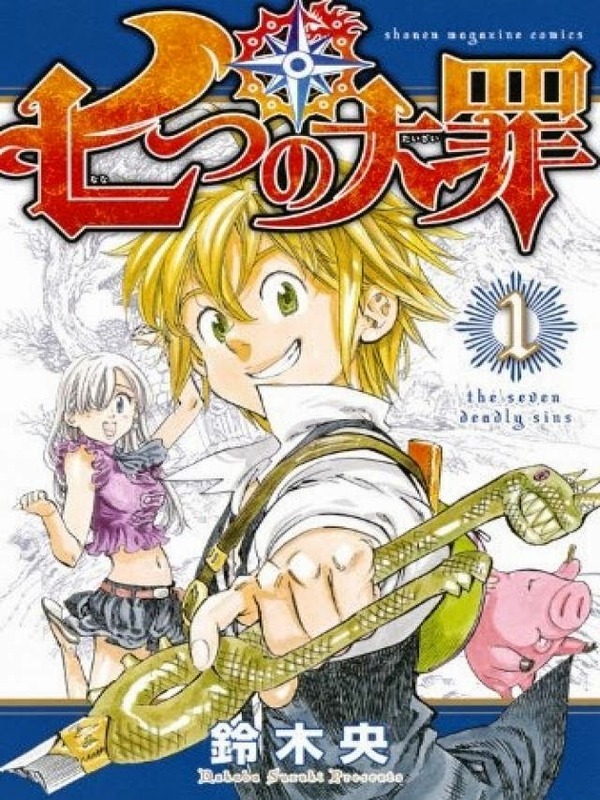 I’m afraid that this Shonen turned out to be a flop. The art isn’t half bad and the action is already starting up, but the main character has doomed this series. Unless he is written out, I don’t see the series going very far. Imagine a series like Naruto if the main character was Jiraiya or Master Roshi and then you’ve got this series. I’ll have a review for this series when it’s over so then you can see all of the problems that I have with it in more detail. 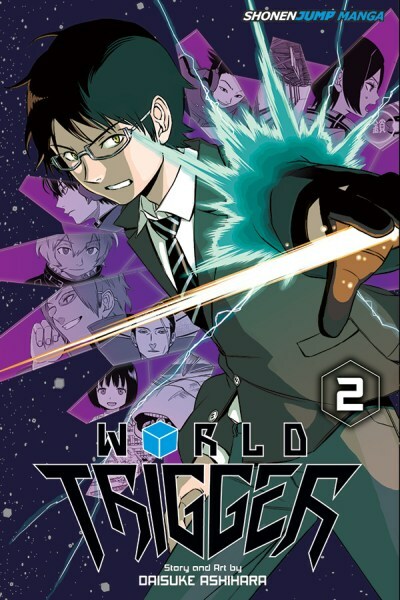 I’ve now started World Trigger! I’ve currently finished the first volume and it’s off to a decently good start. The series is fun and certainly has potential to be one of the big ones by the end of its run. I’m just hoping that the main neighbor’s facial expressions gimmick stops soon because it is pretty iffy. Aside from that, the action scenes are solid so far and I’m digging the cool costumes. I’ll have a review for this series when it finishes..someday.